Having a Masters in Education, I believe my role is to educate the public about the buying and selling process. In a changing market, education is crucial to keep up with the latest trends. Continuing education is an integral part to be the best Realtor to serve you. I have also earned my GRI, Graduate of the Real Estate Institute. Other designations include ABR (Accredited Buyer Representative); CLHMS (Certified Luxury Home Marketing Specialist); SRES (Senior Real Estate Specialist) and CNE (Certified Negotiation Expert). However, I am most proud of the CRS designation, Certified Residential Specialist. Only 4% of all Realtors have gone through the very involved classes to get the CRS designation! If you are looking to buy or sell a home or would just like to know some more information, feel free to call / text 303-717-8614 or email me at [email protected] . As a listing agent in the Denver Metro area, my extensive marketing plan gives a homeowner the opportunity to get the maximum value for his/her property. For buyers, I help negotiate the best possible deal and search until I find the property that best fits your needs. Nothing satisfies me more than seeing the smiles that come with a successful sale or the purchase of a lifetime. 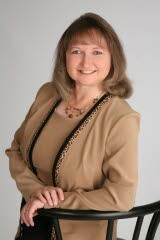 Thanks again for choosing Terrie Bednarcyk as your on-line, local, and Denver Metro real estate source.